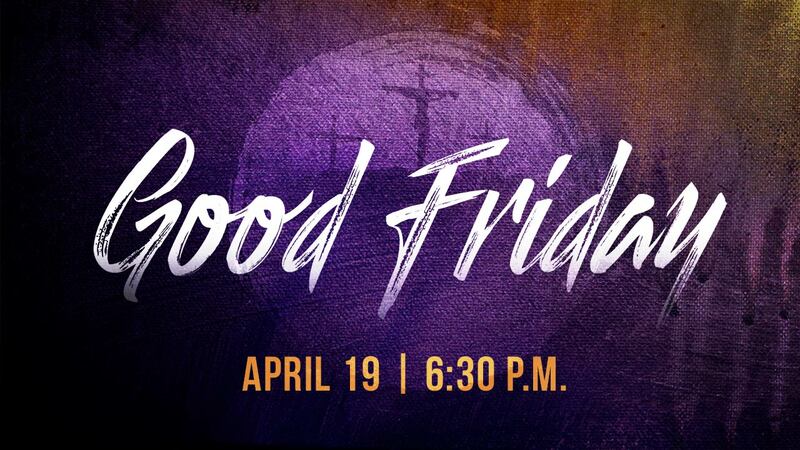 On the evening of Good Friday, we will have one service from 6:30 to 7:45. Please join us as we gather to consider the crucifixion. Good Friday is the day followers of Jesus Christ commemorate His sacrifice on the cross for the sins of all people. This year we are inviting our church family to gather for an evening of prayer and reflection as we consider the death of Jesus on the cross. The service is designed for elementary children and above. We will not be able to provide child care for those younger than elementary age.